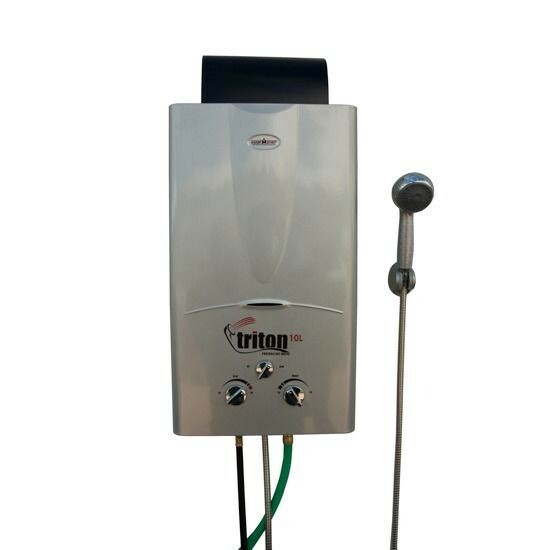 This Triton portable gas powered water heater provides hot water on demand in just a few seconds. It automatically ignites when the water is turned on and quickly heats the water where and when you need it. 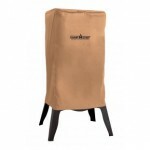 Great for showers while at a campground or at home when the power goes out. All you need is a garden hose hooked up to a water supply. The Triton Hot Water Heater produces more hot water than any other unit in its class. The 2.6 gallons a minute output has adjustable controls for both flow and temperature. It comes with a 8 foot shower hose and adjustable shower head along with a hose/regulator for a 20 lb propane tank. 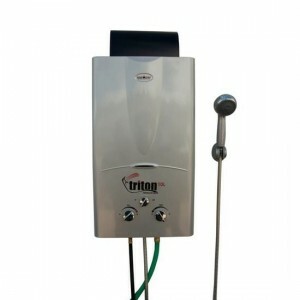 This Triton portable gas powered water heater provides hot water on demand in just a few seconds. It automatically ignites when the water is turned on and quickly heats the water where and when you need it. Great for showers while at a campground or at home when the power goes out. All you need is a garden hose hooked up to a water supply. The Triton Hot Water Heater produces more hot water than any other unit in its class. 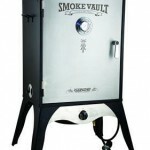 The 2.6 gallons a minute output has adjustable controls for both flow and temperature. It comes with a 8 foot shower hose and adjustable shower head along with a hose/regulator for a 20 lb propane tank. 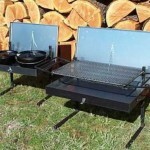 It will heat water up to 84 degrees depending on flow and temperature settings. The 60,000 Btu/hr burner will provide up to 8 hours of continuous hot water from a single LP tank. Actual output will of course depend on the temperature setting. The automatic ignition system uses two D batteries which are not include. 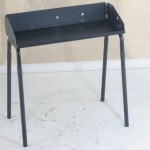 It does come with a stand and a garden hose adapter. For outdoor use only.